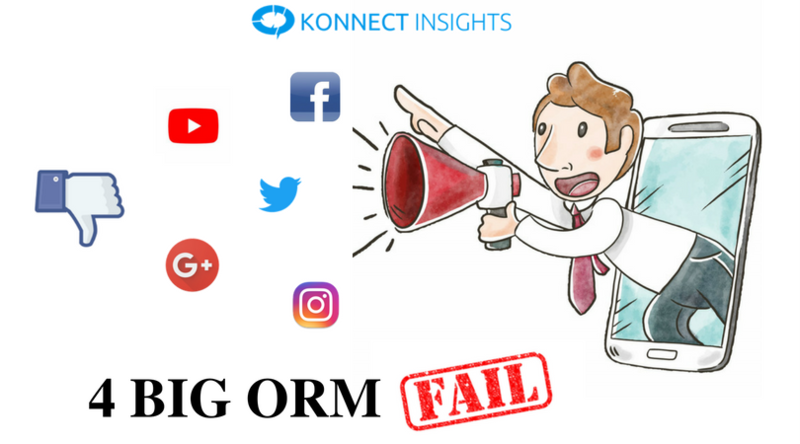 Online reputation management is the process of tracking, monitoring and ultimately eliminating negative social media material about a brand to improve its name or standing. If done properly, social media reputation management builds a brand’s credibility to customers, which strengthens their trust in the brand. But there has been many a goof-up, many a brand not admitting to their grave mistakes, and worse – taking their own sweet time to respond. Brands often forget that consumers come first in any communication crisis; and a clear, quick response can make or break their brand in this digital and mobile-driven age. Brand messaging that gets political without contextualizing that shift or fitting it into the larger brand story is likely to be rejected. A recent report from industry group 4A’s found that 58% of consumers don’t want politics in their marketing at all, and widespread criticism of a push like Pepsi speaks to that skepticism and the fine balance that must be struck. United Airlines hasn’t been having a good year. Things started when passengers took (and shared) video of a man being forcibly dragged off a plane by security when he was randomly selected and he declined to forfeit his seat for airline maintenance workers. That alone was enough to cause an uproar on social media and tarnish the reputation of the brand, but things only got worse when CEO Oscar Munoz issued a cold, victim-blaming apology in which he praised his employees for following proper procedures. Proper procedure or not, delicate situations like this require warmth and understanding, and United Airlines wasn’t prepared to offer it. Dove went viral on social media in early May, and not in a good way. Dove recently joined both McDonald’s and Pepsi in getting a social media beating in what’s widely been regarded as a rare misstep in the Unilever brand’s now 15-year-strong “Real Beauty” campaign. In its ongoing effort to redefine popular beauty standards, Dove made a controversial move to reshape its shampoo bottles to reflect different body types. The U.K. promotion involved limited-edition body wash packaging presenting diverse representations of female bodies, but comparing women’s figures to largely shapeless, abstract soap bottles ultimately sent the wrong message and was met with both jokes and genuine concerns on platforms like Twitter. Pepsi’s Kendall Jenner spot missed a lot of red flags in its misguided attempt to promote its product within a frame of peace and understanding (and Kendall Jenner), and a backdrop of a protest against police brutality. It sought to depict the brand as a cultural unifying force, having the celebrity quell protest tensions by offering a police officer a can of the namesake soda. Immediately, social media users called for a Pepsi boycott and accused the company of undermining the Black Lives Matter movement, and exploiting it to sell more products. Pepsi quickly apologized and withdrew the ad, a smart move that prevented further damage, but the ad dealt a blow to its reputation. McDonald’s recently showcased the risks in failing to properly gauge that tricky balance with a U.K. TV spot about a grieving son and his dead father. McDonald’s controversy is the latest example of the danger brands face when tackling highly personal topics, or anything with a pointedly cultural or political bent in their marketing. The fine line brands walk has become especially tricky as cynicism toward advertising, and straightforward, traditional brand advertising, in particular, has grown considerably in recent years as consumers demand more authenticity but also greater emotional resonance. McDonald’s gaffe was bad, especially since it has a queasy proximity to Father’s Day. McDonald’s seemed to play into the emotions of vulnerable children. The ad, since pulled, was widely criticized on social media for exploiting child bereavement solely to push a brand name, drawing unflattering comparisons to Nationwide’s “dead boy” Super Bowl spot — deemed by some to be one of the worst-ever for the sporting event. Nice informative blog. Thanks for sharing such a nice & informative blog.